Getting to Rawai from elsewhere on the island isn't difficult! Go south straight down the island, down either Chao Fa West or Chao Fa East from Phuket Town, or over the hill from Kata towards Chalong. 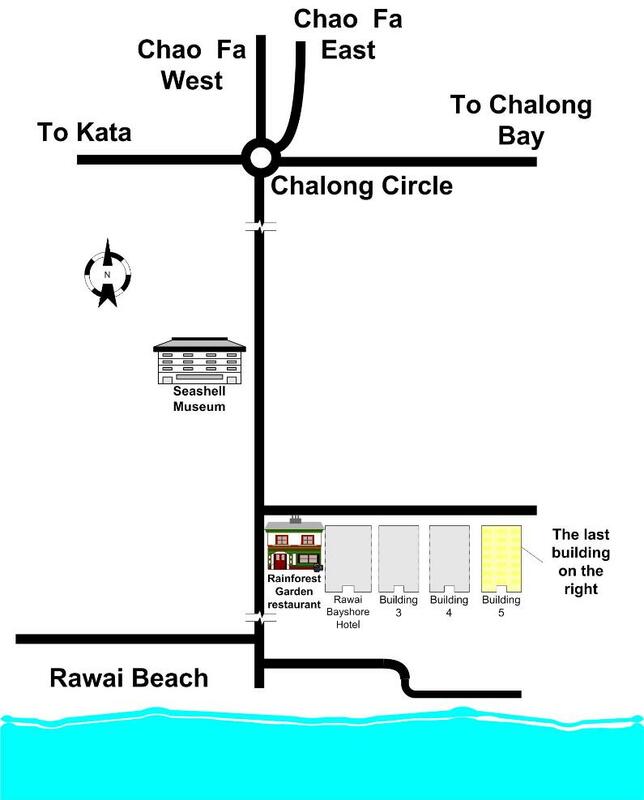 When you get to Chalong Circle, go straight ahead from town, or turn right if you're coming from Kata. After you've gone down the hill, go past the Seashell Museum on the right, and turn left just before the Rainforest restaurant on the left, at the blue Rawai Bayshore Hotel sign. The apartments are in the yellow building; last building on the right.